Narskuttelu Oy's (VAT FI20733922) online store customer register. 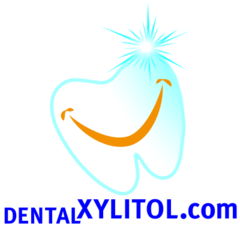 Webpage: www.dentalxylitol.com, address: Telkäntie 5, Fi82500 Kitee, Finland. The register is only used to maintain customer relationship between Narskuttelu Oy and customer. Ordering does not require registration in the customer register. Contractual relationship between Narskuttelu Oy and the customer, when a registered party has entered into an agreement with Narskuttelu Oy with the consent of the registered when a registered user has consented to electronic direct marketing. The information is retained for as long as is necessary for the purposes defined above. The customer can also influence the retention period of the data as described below. With Google Analytics, for example, the discovery of the service and / or information provided by the customer can infer, for example, the potential interest of the customer or set the client to a specific target audience. Customer information is obtained from customers, among others in the form of tenders, orders, contracts, contacts and other contacts electronically or by telephone. Potential customers information is obtained, for example telephone sales. These data will only be saved to the data of the customers who have issued a marketing or contact permission. All customer contacts (both electronic and telephone) can be stored. Recordings are used for authentication of transactions and contracts, handling of complaints and the development of customer service. Information is also collected through cookies and other similar ways that are described in more detail in the "Privacy and Cookies" clause. Information from Narskuttelu Oy's customer register is not regularly disclosed outside the EU or EEA. Within the EU, information may be disclosed to a third party for the performance of a contract such as delivery of a product from another EU country to the address provided by the customer. According to the law in force, data may be disclosed to the authorities. The information contained in the customer registry is collected in databases that are protected by firewall and password-protected technical protection techniques normally used. Access to the register requires a personal username and password that are only granted to a registrar's staff whose status and duties are associated with the access. Access to data is restricted to access by Narskuttelu Oy only. Materials in manual form are kept in the locked premises at Narskuttelu Oy. Check the information about him and request the correction or addition of incorrect or incomplete information or remove the obsolete information by sending a request in writing and signed by Narskuttelu Oy, by visiting personally at Narskuttelu Oy's premises or by modifying, supplementing, or deleting the information on the website. make a complaint to the Authority if he or she considers that his or her knowledge has been dealt with in violation of this Privacy Statement and any applicable Personal Data Protection Act.